It’s been a few weeks since the epic news story that was the Kim and Kanye wedding, and I think we’ve all had a chance to recover from the madness. As someone without a vested interest in the outcome, I mostly watched the festivities with bemused curiosity, until I came across posts about people expressing shock and outrage that Kim, twice divorced and a mother, dared to wear white on her (third) wedding day. My own discomfort at those reactions was what inspired this post and has put me in a position I never thought I’d be in – defending Kim Kardashian. It truly saddens me to see modern people attempt to shame a woman for her choice of wedding attire and I wanted to take the opportunity to examine the origins of the white wedding dress and offer some bridal alternatives for modern day brides who choose to express their individuality and personal style rather than worry about outmoded customs. First and foremost, let’s go ahead and do away with concern about a bride being ‘pure’ enough to wear white. It’s the 21st Century, we’re enlightened humans (most of the time), let’s move on. I believe it is every bride’s right to wear white if she chooses, but it is far from the only option. White wedding dresses came into vogue after Queen Victoria wore one to wed Price Albert in 1840 – while wealthy brides have been known to wear white throughout history, they often chose costly furs, velvet, or gold and silver embroidery to display their wealth. Before that, brides would commonly wear their finest dress for the ceremony, regardless of color. Brides work black in Scandinavian tradition, while many Eastern cultures still wear red since it’s considered an auspicious shade. Choose a shade that will make you look and feel radiant, and don’t worry about what anyone else may think! If you’re still looking for a traditional bridal look but don’t want to wear white, softer pale shades are the best way to go. Ivory, champagne, and blush have taken modern brides by storm since many of us realized that we don’t look good in stark white! It’s science. Pale complexions will look best in soft, vintage ivory while rosy brides will stun in a creamier shade like warm taupe. 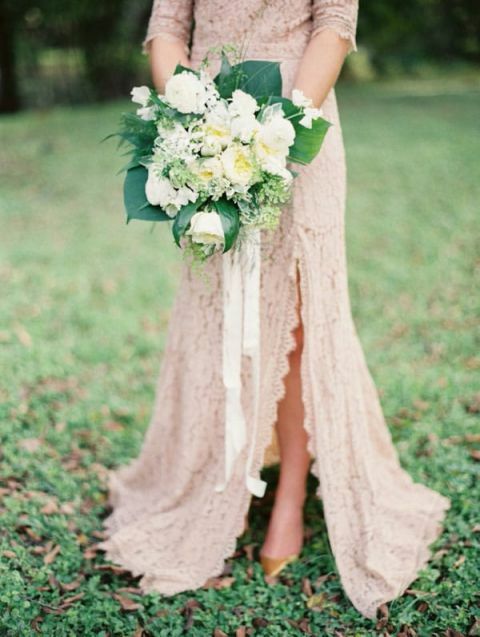 Brides with olive skin will dazzle in champagne! 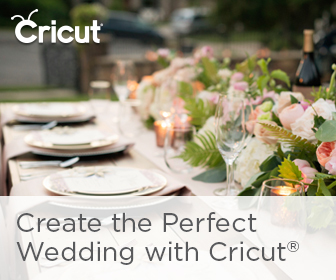 Softer hues are perfect for a romantic wedding, especially with a classical silhouette. The easiest way to punch up any bridal look is to sparkle! Gold and silver have come back into popularity – they were commonly worn by royalty before the Big V made white the go-to shade. Complement your skin tone’s natural warmth with antique or dazzling gold, or play up cooler skin tones with frosty silver. Keep things sleek to avoid full on princess mode, while allowing the gown’s embellishment to take center stage. Soft blues and grays are a romantic choice while adding a modern touch – California blondes will look amazing in dusky blue hues for a fun but dreamy look. Brunettes like myself are perfectly suited to soft cloud gray or pewter for a more ethereal wedding day style. Here’s where it gets fun! I wrote about styling a bridal look around your everyday fashion last week, and brightly hued gowns are the perfect example! 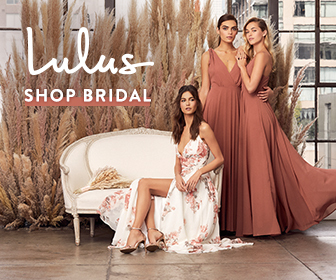 There’s no need to forgo your personal style on your wedding day, and how better to express your fabulous fashion sense than by wearing your favorite color? I get raves every time I wear red, so it’s tempting to want to look that radiant on a day when all eyes (and cameras) will be on me. Pick a color that makes you feel confident and you’re guaranteed to love the way you look in your photos! One of my favorite trends for modern weddings has to be patterned dresses! Brides in prints always seem like the kind of fun, exuberant ladies that I’d want to hang out with – and they look pretty fabulous too. Go ahead and throw all of these rules out the window and wear something that makes you happy on your wedding day. I love this edgy bridal look with a suit jacket over a structured gown, but the wonderful thing about this day and age is that brides really get the chance to wear anything they want. If you’re not a dress kind of gal, why not wear a crisp, tailored suit to ensure you look incredible but feel comfortable? 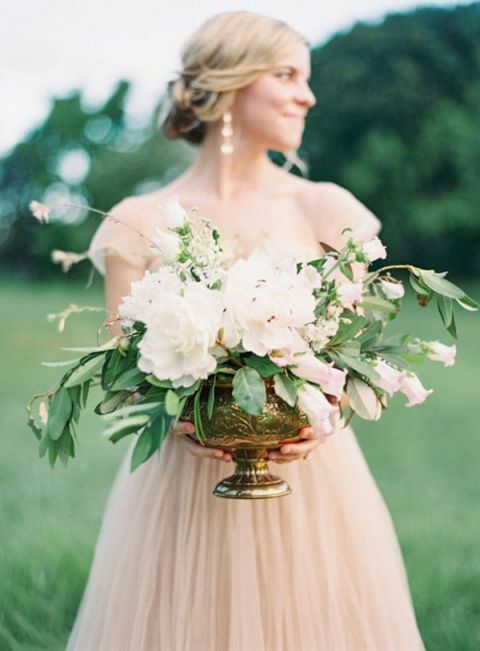 Bridal Styling Secrets from my Favorite Fashion Blogs! I’m going to wear a gorgeous forest-emerald green gown… as my man loves me in that colour ANDI happen to look great in it! Honestly, I think people were just looking for any reason to trash Kim (not a fan, just saying). I could be wrong but I always got the impression that nowadays most people don’t concern themselves with the colour of the bride’s dress- except for the much older generation I suppose.